Ouagadougou,3 March 2019. The President of the Commission of the Economic Community of West African States (ECOWAS), Jean Claude Kassi Brou, met with young burkinabes on the regional organisation’s activities for the West African youth as well as economic development in the Community. 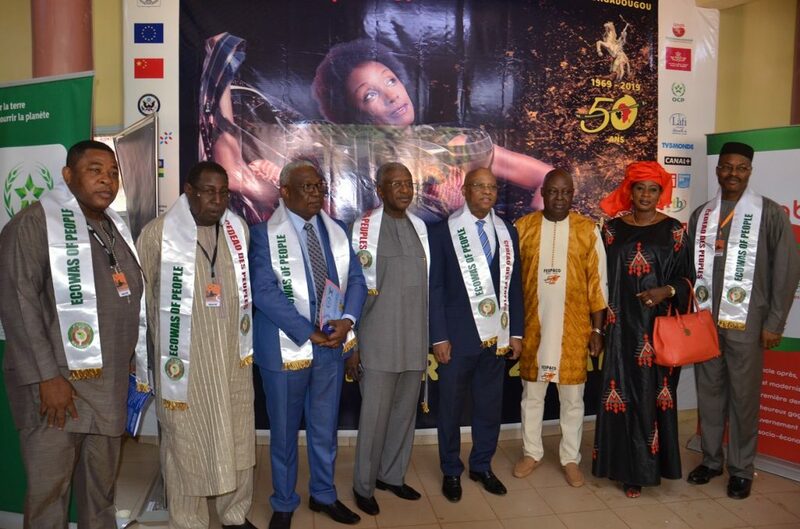 The meeting was held under the stand mounted by ECOWAS on Saturday 2 March 2019, within the margins of the 26th edition and 50th anniversary celebration of the Panafrican Film and Television Festival of Ouagadougou (FESPACO), which ended on the same day in the Burkinabe capital. Some of the activities of the regional organisation Jean Kassi Brou mentioned to the West African youth, included among other things, ECOWAS volunteer programme, Nnamdi Azikiwe Academic Mobility Scheme, youth integration into industry and youth internship in Community Institutions as well as specialised agencies in the ECOWAS Commission. He also mentioned the emergency education programme focusing on sponsoring the education of the girl child, scholarships to orphan girls, including youth entrepreneurial programme, which will soon be introduced in partnership with the Commission’s Department of Social Affairs, Telecommunication, Education and Private Sector. 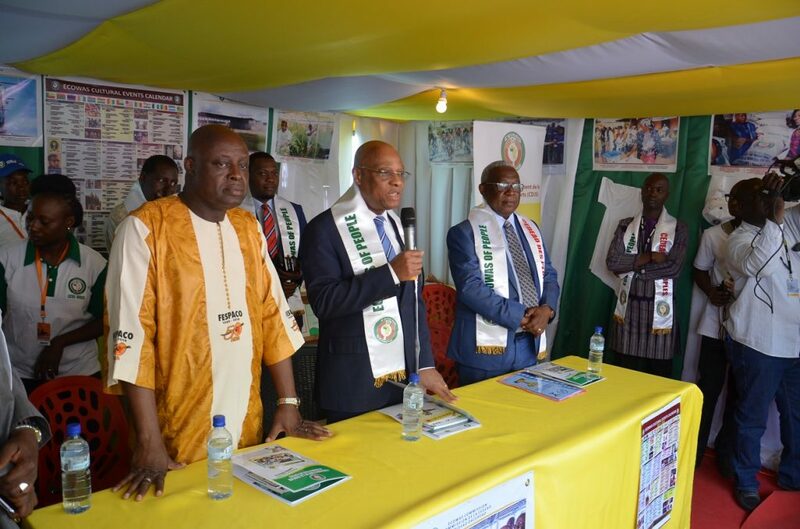 Mr Brou also highlighted ECOWAS culture programmes and the regional organisation’s participation in the 26th edition and the 50th anniversary celebrations of FESPACO. Since 1993, ECOWAS has been participating in FESPACO, held every two years, and this year is not an exception, stated Mr Brou. This year’s edition will feature ECOWAS presentation of two prizes to deserving film directors, namely «Special Prize for Best Film on West African Integration» to the tune of 15 million Francs CFA and awarded to a film director from the region whose film was shot in West Africa, he explained. The « Special Prize for the Best Female Film-Director», with a 10 million francs CFA value is aimed at recognising and promoting West African women’s contribution to development in the region, the ECOWAS Commission’s President pointed out. Mr Brou pointed out that ECOWAS goal in introducing these prizes is to support and encourage creativity in the Community, promote cultural exchange, strengthen cooperation with film directors, promote regional integration and the move towards an ECOWAS of people, recognise and promote West African women’s participation in the development of the region. In future editions of FESPACO, other special prizes will be introduced to boost ECOWAS presence and participation, the Commission’s President stated. 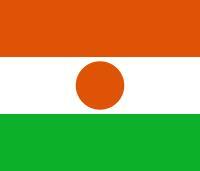 Mr Jean-Claude Kassi Brou also informed his audience that there are four axis to the ECOWAS culture programmes. He enumerated them as follows: Protection and promotion of West African cultural expressions particularly retuning cultural goods to their countries of origin. A Declaration was adopted to that effect by the Authority of Heads of State and Government in December 2018. Development of intellectual property, including the protection of intellectual property rights, as well as copyrights and industrial rights; economy of culture and creativity in the ECOWAS region. He also mentioned the promotion of cultural values for social peace aimed at creating dialogue mechanisms among the West African communities. Prior to his meeting with the young Burkinabés, Jean-Claude Kassi Brou paid courtesy visit to FESPACO Delegate General, Ardiouma Soma, and reaffirmed ECOWAS willingness to support the Biennial African Cinema whose audience continues to increase. He commended FESPACO’s popularity, its positive impact on the social and economic lives of West African citizens, and contribution to the development of ECOWAS Member States. It should be pointed out that several visitors were drawn to the ECOWAS stand on FESPACO grounds from the commencement of festivities on 23 February 2019. 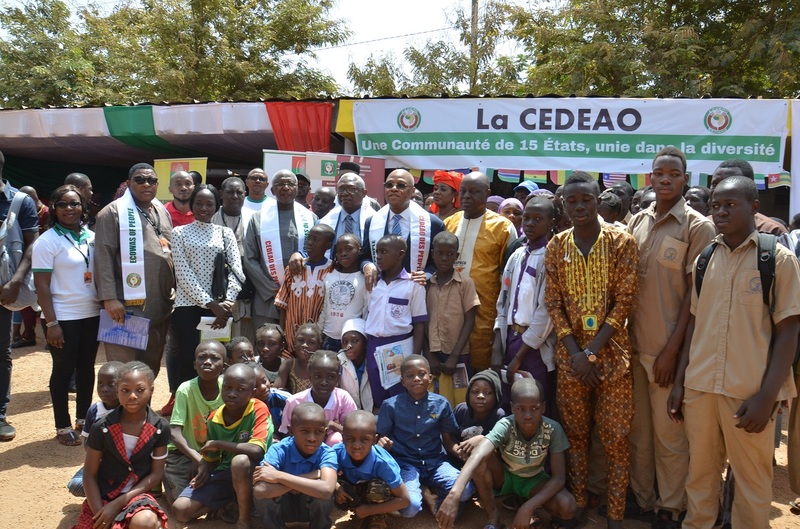 They received ECOWAS information and promotional materials, and some others won several souvenirs after participating in the question and answer sessions which had several ECOWAS promotional materials attached as prizes. Honourable Minister of State, Simon Compaoré also visited the stand.